AMERICAN PEOPLE VOTE A PRESIDENT INTO OFFICE. WRONG! 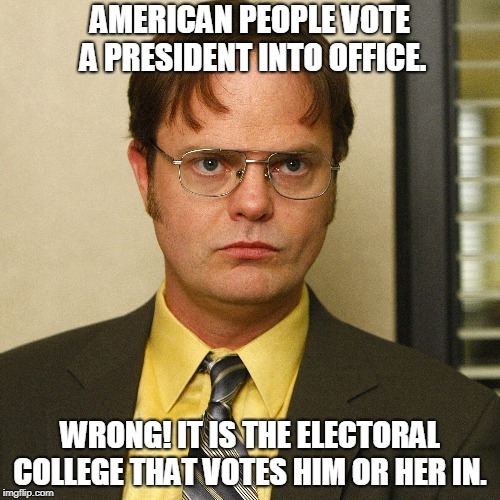 IT IS THE ELECTORAL COLLEGE THAT VOTES HIM OR HER IN.